December 13, 2011  The world's No. 4 smartphone maker HTC may have to pull most of its phones from the U.S. market. That's because of Apple's ongoing patent battle with the makers of smartphones that use Google's Android operating system. The International Trade Commission is set to rule on the case Wednesday. December 9, 2011  Move over, cute kittens and goofy kiddos: YouTube is pouring money into slick, professional channels, including one that works with Madonna. Streaming services are developing their own original programing — including a resurrected, Netflix-only season of Arrested Development. It's like the early days of cable TV, when HBO started out airing movies and ended up with The Sopranos. 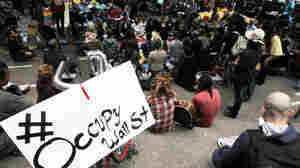 December 7, 2011  Sometimes a topic that seems hot, like Occupy Wall Street, doesn't appear on trending lists, leading some activists to accuse Twitter of censorship. But the secret algorithmic formula prefers stories of the moment to enduring hashtags, so it ignores topics that are popular over a long period of time. November 17, 2011  Google's music store will allow Android smart phone users to buy songs directly from Google, which is something they can't do from iTunes. They'll also be able to share their purchases with friends on the Google Plus social network. But the company, known mainly for its search engine, has a long way to go before it can challenge the big kid on the block. November 9, 2011  A study by the Pew Research Center's Internet and American Life Project reveals what teens think about the online experience. While bullying on social media sites like Facebook gets a lot of news coverage, most teens think social networks are a friendly place for them. 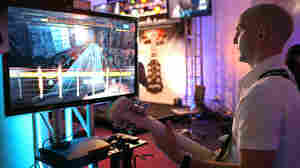 Paul Cross, creative director of Rocksmith, plays the game at a demonstration event in San Francisco, Calif.
October 25, 2011  A new video game makes use of that guitar that's been hibernating in your attic. October 13, 2011  An unsung hero of the computer world has died. Dennis Ritchie created the C language — which is the foundation for most computers, including the iPad and iPhone. October 11, 2011  Three weeks ago, Netflix announced it would split off its online streaming service from its DVD rental business. But after a lot of customer complaints, the company has done a complete turnaround. Bjork's new album, Biophilia, is also an interactive multimedia project. October 10, 2011  Bjork is known for experimenting with new sounds, but her latest album extends even further into the world of multimedia. Biophilia includes interactive apps for each song, as well as an educational component. Steve Jobs introduces new MacBook Air models at Apple headquarters on Oct. 20, 2010. Some say one of his greatest legacies is his impact on design. October 6, 2011  Steve Jobs, who died Wednesday, did not invent the computer, or the mouse, or the smartphone, or MP3 players. 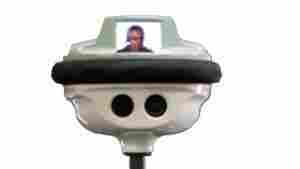 But it was his vision that made them accessible, user-friendly and enormously popular. October 6, 2011  Long before the MacBook and the iPad, Steve Jobs dreamed that computers could be used to help unleash human creativity. He spent much of his life bringing that dream to fruition. 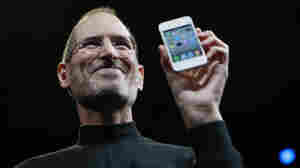 Steve Jobs holds up an iPhone at the Apple Worldwide Developers Conference in San Francisco in June 2010. October 5, 2011  Long before the MacBook and the iPad, the Apple co-founder and former CEO dreamed that computers could be used to help unleash human creativity. He spent much of his life bringing that dream to fruition. The Galaxy S II is a Samsung smartphone that runs on Android. Analysts say Microsoft could be getting as much as $15 for each phone Samsung sells. October 3, 2011  Google claims that Microsoft is unfairly raising the price of smartphones. Both Samsung and HTC make phones with Google's Android operating system. They have both agreed to pay Microsoft — not Google — for the privilege. That's because Microsoft claims Android steps on its patents. Can Amazon's Fire Tap Into iPad's Success? September 29, 2011  Amazon has unveiled its new Fire, a tablet device that does much more than the company's successful Kindle e-readers. Will Amazon's entry into the tablet market challenge Apple's iPad dominance?